Conquest, War, Famine, and Plague!!! 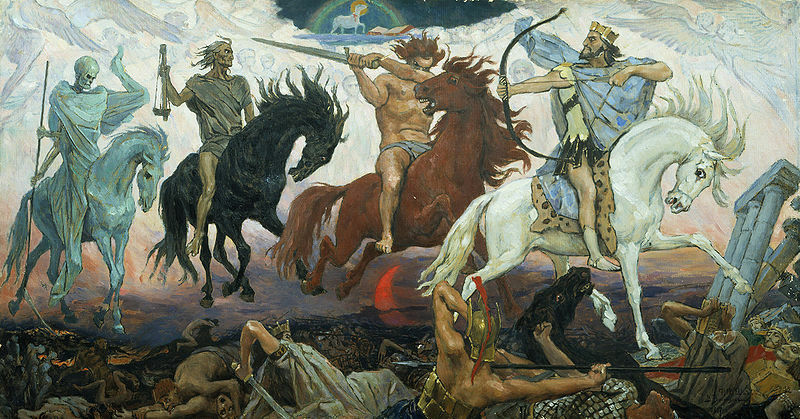 Even as basketball fans around the country are rooting for their favorite team (or tearing up their brackets), could it be that out there in the near future, trapped behind seals of the Book of Life, are four horsemen waiting to unleash their punishment upon the earth? The Book of Revelation devotes only a handful of verses to them, but they have intrigued and confounded believers for 2000 years. Four horsemen, one in white, one in red, one in black and one a paley green. And each of them delivering a message of judgement upon lowly sinners. Is this a literal depiction of real events that will happen? Some Christians believe so. Is this a symbolic depiction of real events that were plaguing the world back in John’s day? Many Christians would say that. Is this a mess of images and metaphors that don’t make any sense at all? I’ll confess, I’ve said that before. The imagery is often violent, and epic. The symbolism is really tricky. For instance, scholars today argue over the first horse, the white one. Does that represent Christ, or the AntiChrist? Wow. You’ve got me. But if we can’t even decide which side the white horse is playing for, how do we know who to root for? And why pick Conquest and Famine as part of the Final Four? What about Plague and War? These are not the Final Four I’d have in my bracket. I’d have the Lone Ranger and Silver. They’re a great duo. I’d have Black Beauty, who doesn’t even need a rider. I’d even have that War Horse from the latest Stephen Spielberg movie that I didn’t see. Now there’s a fun Final Four! Who’s with me? Okay, I’m being irreverent here. 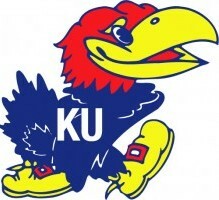 But my point is valid: Why do the Final Four have to be harbingers of such destruction? Why does the world have to go out with such a terrible bang? Perhaps, buried in all that symbolism, is an important message for us to remember: There is no room in the Kingdom of God for sin, and injustice, and greed. For us to move from our imperfect world into God’s perfect Love will not be easy for any of us. Like a refining fire burning away our faults, moving into a world of Grace will mean letting go of our selfish desires. That might be traumatic. I don’t know if I’m ready. How about you? As much as I pray “Thy Kingdom Come, Thy Will Be Done”, I may not be fully prepared for The Final Four, or any other version of complete conversion. Perhaps that’s why John wrote Revelation. To get us prepared. in a year when you least expected to. Have a great week, and get ready!